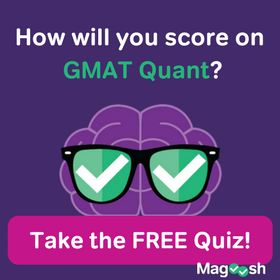 As readers of the blog know, I recently took the GMAT. This is a brief description of the testing location and the experience of going to take the test, for those who have never done so. 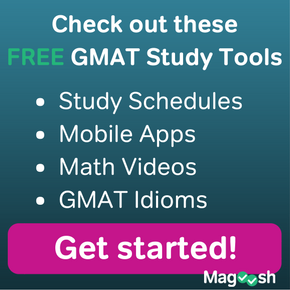 If you take an official GMAT, the location you will use is Pearson VUE. I found the Pearson employees in the downtown Oakland branch particularly friendly and supportive — those folks were great! 🙂 Nevertheless, it’s just the nature of the way we practice security in the modern world: you are subjected to an experience that is not too different from what TSA puts you through at the airport. You have to empty your pockets and lock everything you are carrying in a small locker. When you go to take you GMAT, carry as little as you possibly can. Leave anything extra at home or in your car. You need to have your legal picture ID (e.g. a US State-issued Driver’s License). 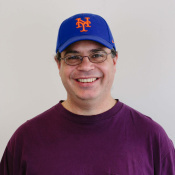 In the course of the procedure, Pearson will take your picture at the beginning, and scan the palm of your hand every time you enter and leave the testing room. Every time you leave the testing room, you will have to show that your pockets are empty before entering the room, and you are not allowed to carry anything into the testing room except your picture ID and the key to the locker. If you have any “lucky charm” item — a rabbit’s foot, a favorite small stuffed animal, dragon’s bones — forget it: it’s going in the locker. You want something lucky you can take into the testing room? Wear lucky underwear or get a lucky tattoo! 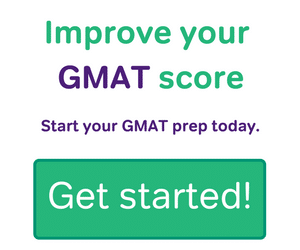 On the GMAT, you begin with the AWA (30 minutes), and that’s followed immediately, without break, by the IR section (30 minutes). At this point, you are offered optional 8-minute break #1. After this break, you take the Quantitative section (62 minutes), and then you will be offered the second optional 8-minute break before the final Verbal section (65 minutes). At each optional break, you can choose to work straight through, or you can choose to get up, step out of the testing room, and take your break. I highly recommend taking both optional breaks. On both my breaks, I got up and moved around a little. On the first, I did some stretching in the hallway. On both breaks, I drank some water, and during my second break, I ate an organic protein bar that I had brought. Food and water will have to go into the locker, but you can get your water & snacks out during each break. Moving your body, just simply walking, gets blood & lymph flowing, and introduces oxygen into your blood, which helps you think. Of course, throughout the test and on your breaks, it’s important to keep up quiet slow deep breathing. 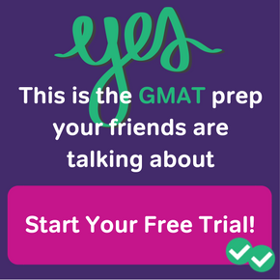 If you haven’t taken a live GMAT before, it’s good to know what to expect, and how it’s different from taking a practice GMAT on your own computer in the comfort of your own home. Know what to expect, so all the security measures don’t jar you and psyche you out on test day. And for actual content of the test itself, trust Magoosh. Will they give us pencil and paper?